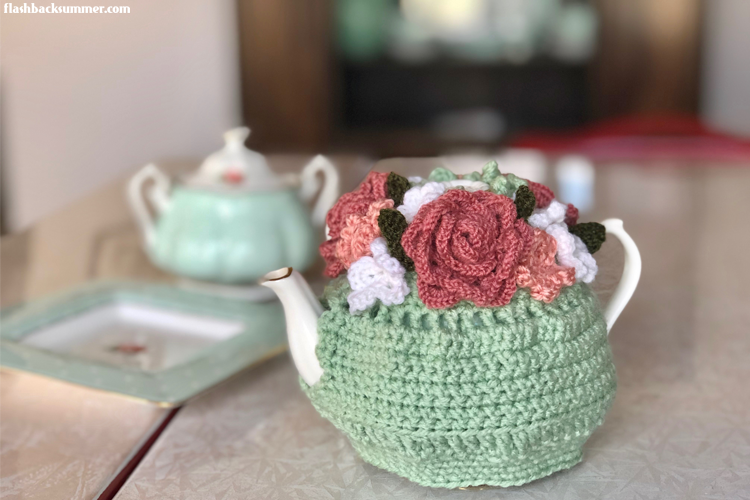 While we're talking about identity blooming this month, I thought I'd show you how to embroider some actual blooms! 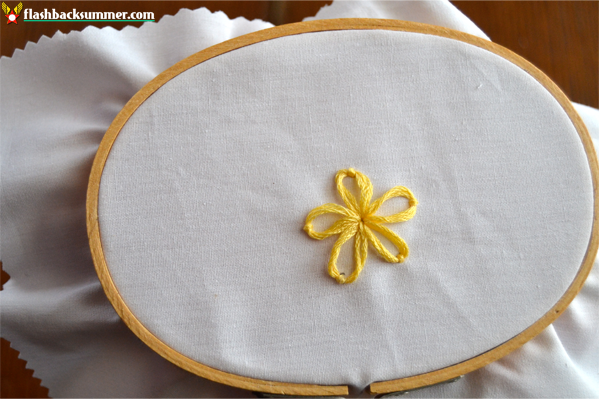 Today I'm going to embroider a lazy daisy, and I'll have a couple other types of flowers later this month! 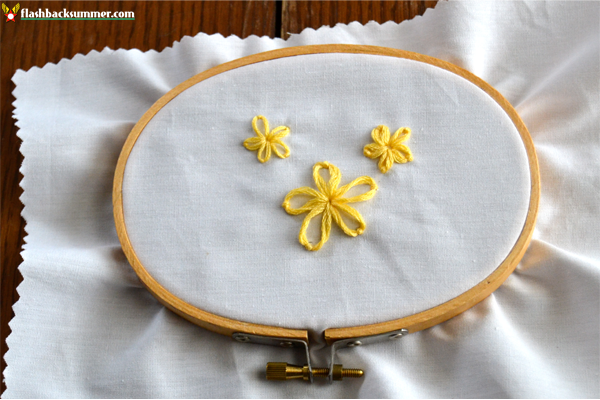 You're going to have an amazing embroidery flower repertoire. I love embroidery because it's an easy way to add a unique, handmade touch to anything. 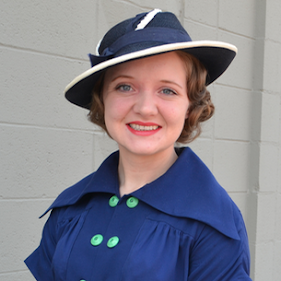 Necklines, pockets, pillows, curtains, the possibilities are endless! You could even do these on paper for scrapbooking… Seriously, endless possibilities. 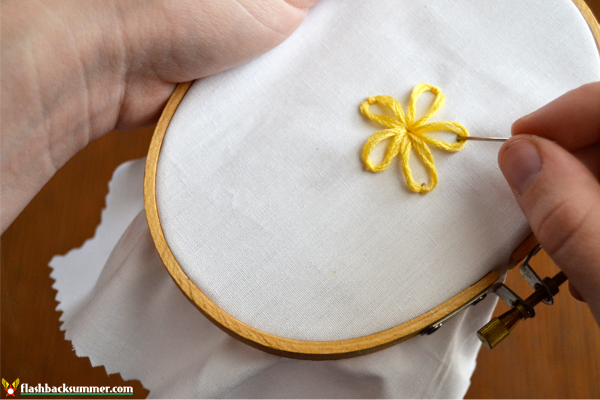 A lazy daisy is one of the easiest kinds of embroidery flowers (hence the name! ), and I have used it on a few of my own projects like my velvet robe. Let me know if you have any questions or encounter any difficulties, and I'll be glad to help! 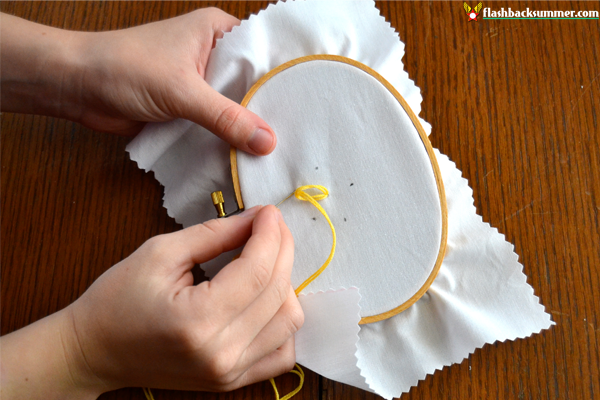 Thread your needle with embroidery floss. For a thicker flower, fold the floss in two and knot the ends. 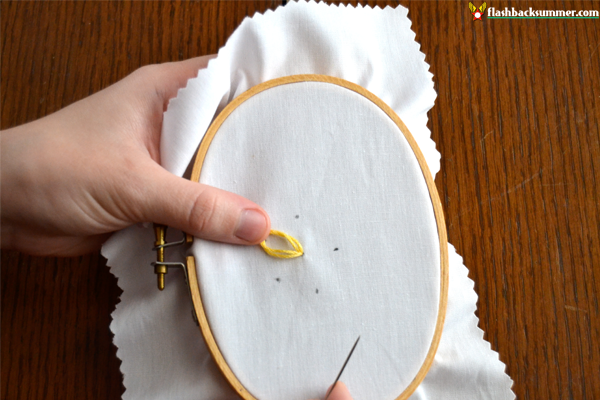 For a daintier look, just knot one end and keep the other through the needle far enough that it won’t come out while sewing, or use only a couple pieces of floss. Next, draw six dots: one in the middle with five surrounding it, as if you were drawing dots on the corners of a pentagon. The center dot will be the center of the flower, and the other dots will be the tops of the petals. 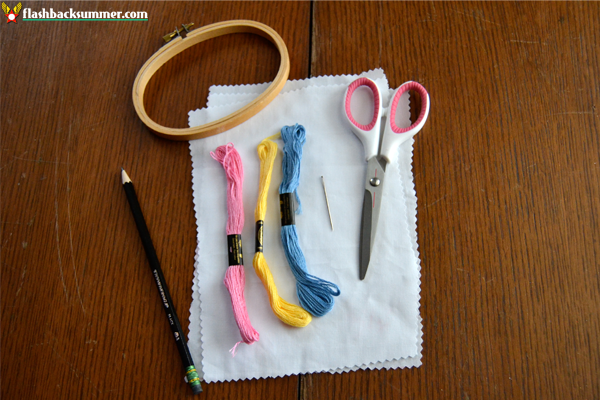 Put your fabric in an embroidery hoop. 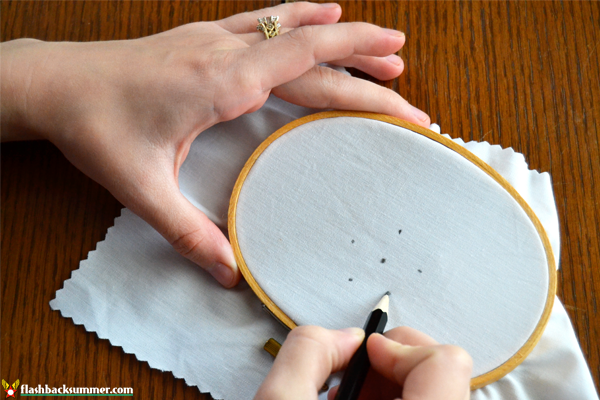 Draw your needle up near the center dot, and put it back through the fabric nearby, back into the center dot. 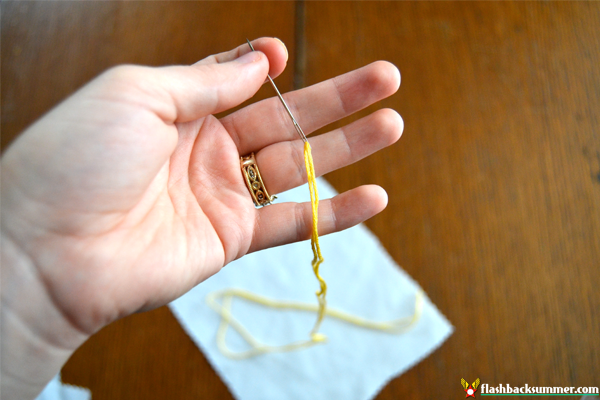 Leave enough embroidery floss to make a loop to the top of a petal dot, and hold it down with your thumb so it doesn't go anywhere. Next, go up through the petal dot and through the first floss loop. Put the needle down very closely to where you just drew it up, and pull it tight. The loop should now be secured down. Move back to the center dot and repeat this for the other four petals. Knot the end, and you’re done! 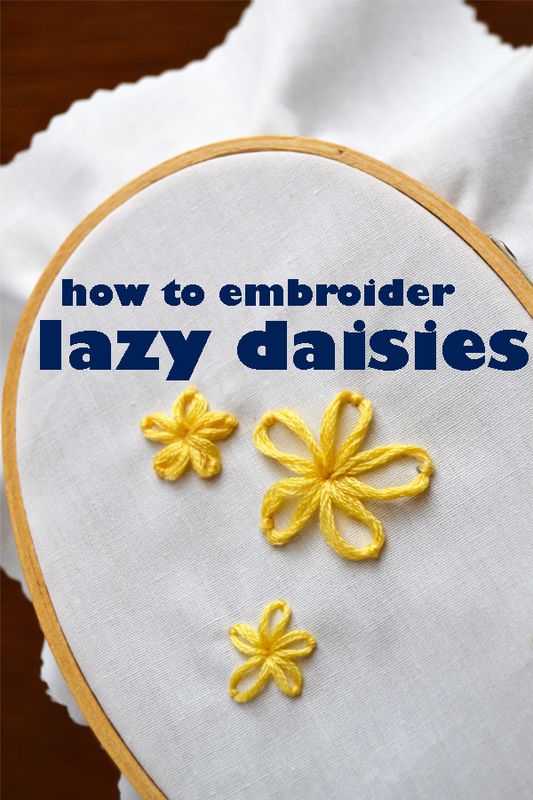 Have you ever embroidered lazy daisies on anything? Did you try this out for the first time? How did it go? I love hand embroidery! And the lazy daisy stitch is so rewarding while being so easy. This is a delightful little tutorial, Emileigh. :) I loo!k forward to your next embroidery post! Those are so cute! 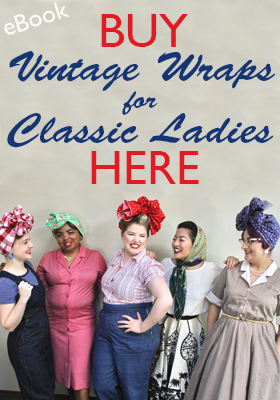 I will have to try them on one of my next sewing projects. So fun! This is one of the first embroidery stitches/techniques I remember learning as a youngster. They look adorable and summery on everything on puts them on. I love a lazy daisy. Great tutorial.